Chemoembolisation is a treatment for cancer in the liver. 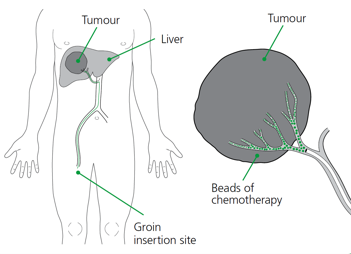 The procedure involves injecting chemotherapy directly into the arteries feeding the tumour, as well as a substance designed to block off the blood vessels feeding the tumour. 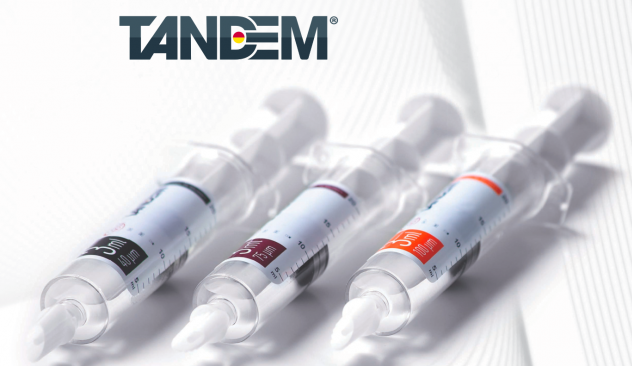 Chemoembolisation is often called TACE, short for Transcatheter Arterial ChemoEmbolisation. The procedure is performed by an interventional radiologist using local anaesthetic and some sedation. A small catheter is inserted into the artery in the groin and then into the arteries supplying the liver. Chemoembolisation is a treatment that can be used on many different cancer types including cancer which has started in the liver (such as hepatocellular carcinoma – HCC), but also cancers that have spread to the liver from other sites. 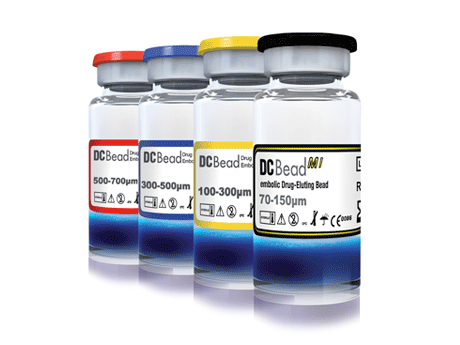 Different chemotherapy drugs can be used, depending on the type of cancer being treated. At MIRG we have access to the most advanced drug delivery systems for chemoembolisation.